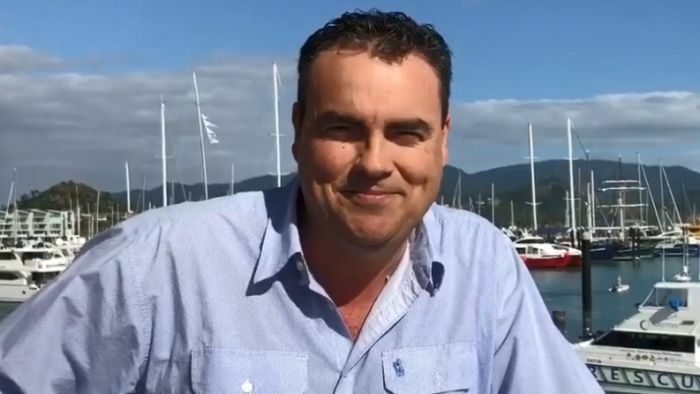 Allegations of stalking, sexual assault and inappropriate text messages are among a series of complaints against former Liberal National MP Jason Costigan revealed by the LNP in the Queensland Parliament on Tuesday. Mr Costigan was expelled from the LNP late last month when details of a harassment complaint were brought to the party executive’s attention. The State Opposition used parliamentary privilege and the first sitting day of 2019 to detail a list of complaints against Mr Costigan. Mr Costigan failed to show up in Parliament, having told the Speaker of the House he would be absent for the entire week. His former colleague, Jarrod Bleijie, told Parliament the young woman involved in the first complaint was in “fear she would be raped”, before detailing the allegations in full. “Recently in January he arranged to stay with an elderly couple — they were over 80 years of age on a remote farm interstate,” Mr Bleijie said. “He arrived late at 1:30 in the morning after phoning the couple around 10:00pm. “The next morning, the hosts departed at around 7:00am, but from the discussion with him when he arrived they assumed he would leave early in the morning rather than linger. “Just after midday their 18-year-old granddaughter arrived to collect some of her belongings following a short holiday after graduating from high school weeks before. “When she arrived at the property she didn’t know that he was there — she didn’t know who he was or why he was in her grandparents’ home. Mr Bleijie said Mr Costigan met her in the living room then followed her into the bedroom. “He was half naked, having just had a shower,” Mr Bleijie said. “He closed the door behind her when they entered the room, he touched her on the back and stroked her hair. “He told her she was pretty, he told her he liked young girls, he told her she should come to the Whitsundays to visit him and he would pay for her flights. “She frantically gathered her belongings to get out as quickly as possible. In her rush, a piece of her underwear fell to the ground — he picked up the fallen underwear, he turned it over in his hands and told her he liked it. Mr Costigan has previously denied the allegations, saying while the pair had met unexpectedly, he did not act inappropriately towards her. Late last month, he showed members of the media a selfie he took with the woman at the time. In Parliament, Mr Bleijie went on to list another four allegations brought to the LNP’s attention since he was expelled, including allegations of stalking, sexual assault and sending sexually charged messages to a 16-year-old girl. The LNP’s Steve Minnikin also addressed the house saying “the people of Whitsunday deserve to know the facts”. “The Member said he wasn’t afforded natural justice and he didn’t get a fair go — that is completely wrong,” he said. “The truth is the member has been fairly dealt with by the LNP. Could the mysteries of Stonehenge be destroyed by a multi-billion-dollar tunnel?